Soft, pink and plush, our lips say it all… even when we say nothing at all. But, with age, our lips lose its definition and plumpness; they become flat and wrinkled. And it simply feels very despondent to witness what time does to our once-beautiful-face. In such a case, the widely renowned lip augmentation treatment with hyaluronic acid offers a very good alternative to procrastinate the ageing of lips. So, are you thinking about lip fillers in Melbourne? this lip augmentation treatment is all about. 1. Does lip augmentation treatment require any surgery? 2. What types of lip fillers are used in Melbourne? In most cases, lip augmentation is done through dermal fillers. To reduce the discomfort, all sorts of lip treatments are done with local anaesthesia, which is injected directly into the area. In this way, the patient does not notice any pain. In this process, fat is extracted from the patient, which, after being processed and purified, is injected into the lips. This procedure is usually carried out when a facelift is performed that involves removal of fat due to excess of it. Part of that eliminated fat is used to retouch the lips and increase its volume. Its drawback is that there is always a percentage of autologous fat that tends to be reabsorbed by the bod so that some areas of the lips can be left with less volume than others. In these cases, through a very fine needle, small punctures are made in the lip to inject the lip fillers in Melbourne. Today, the most used material for lip filling treatment is hyaluronic acid prepared in the laboratory. Their results last between twelve-eighteen months, depending on the type of fillers used. There are other lip fillers in Melbourne as well, but their usages are not widespread due to the side effects involved. The animal collagen, for instance, has a high risk of generating allergic reactions. Can silicone be used as a lip filler? The silicone was used as a lip filler material a few years ago. But, the results were very poor in the long term, hence, its usage is totally discarded today. In Australia, the use of silicone for lip augmentation is totally prohibited by the Therapeutic Goods Administration (TGA), not only because of the long-term results of this substance but because it is almost impossible to remove this filling from the lips in case of problems or side effects, which has serious consequences for patients. How to care for lips after lip augmentation? Lip augmentation with lip fillers in Melbourne does not require any downtime, so the patient can immediately return to their daily routine. But, as it is normal you will have to take some precautions during the first days. During the hours after treatment, exposure to the sun, heat sources or excessively cold temperatures should be avoided. In the days following the intervention, it is normal for the area to be somewhat inflamed due to injections. Some professionals also claim that nodules may appear.  Apart from that, moisturize the lips well, since the dryness is counterproductive.  Also, take medicines referred by your doctor to prevent excessive swelling. Nowadays, the lip augmentation is a safe (with a well-understood risk profile) procedure if the wellbeing of the patient is placed in the hands of an expert physician and also the licensed products of superior quality are used. In this regard, it is important to ensure that the product is authorized for use by the TGA and has not been adulterated or diluted to obtain a higher yield. Also, before the treatment, the doctor should make sure that the patient does not suffer from allergies (especially to collagen) and that he does not consume anticoagulant drugs. Lip augmentation is an intervention more demanded by women than by men, although it can be performed without any type of problem within the male gender as well when they are not satisfied with their pair of lips. Most women, who opt for such a treatment with lip fillers in Melbourne, are those who have already passed the age of 40. They begin to notice that the area of the lips has lost volume and, as a consequence, the wrinkles of the perioral area are more pronounced. Most of them choose to increase the volume of the lips with hyaluronic acid since they usually also use this filling material in wrinkles close to the mouth. The result is a smoother, younger and more proportioned face. Also read about the pros and cons of lip injections in Melbourne. 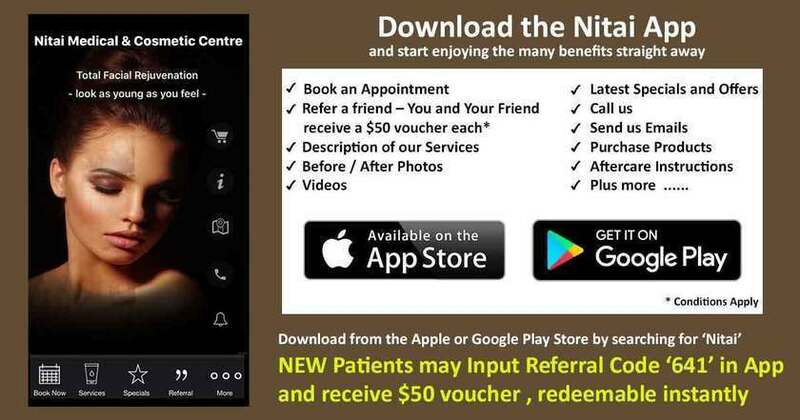 Previous Previous post: How is the Double Chin Removal Injection at Nitai Skin Clinic Different? Next How to Get Rid of Tattoos Without Pain with the Laser Tattoo Removal Treatment at Nitai Skin Clinic?